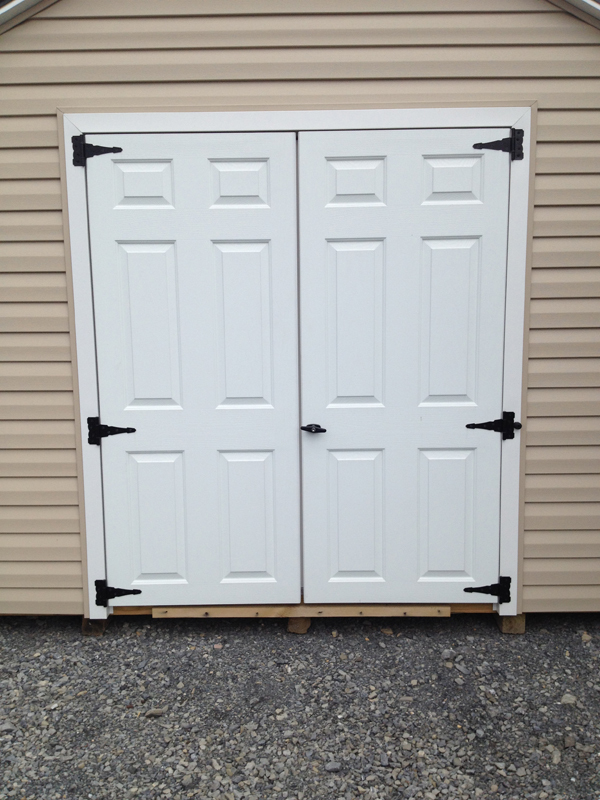 Our standard sheds are built to last. 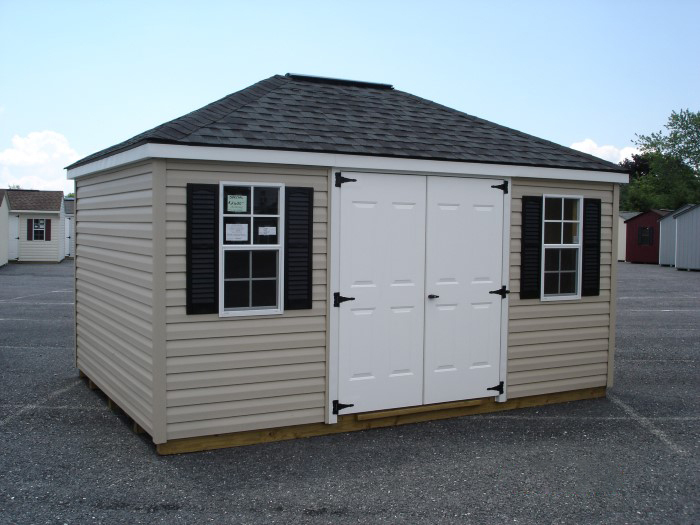 We construct our standard sheds using the best materials available and include many important features that our competitors charge extra for. As an added piece of mind, they all come backed by our 5 year structural warranty. All our standard buildings include a ridge vent, diamond plate sill protector, either a single or double door*, at least one window*, and the choice of either a 2’ shelf or light duty ramp. Our most common styles, the a-frame and carriage, are built with a 5/12 roof pitch, but can be custom built with higher roof pitches for added style. The a-frame shed is a traditional classic and a great choice for a storage shed. It has a full 6’ wall height allowing it to serve for many uses. For a nominal charge, it can also be built using a 7’ wall height, which enables the building to be used for a variety of both residential and commercial applications. 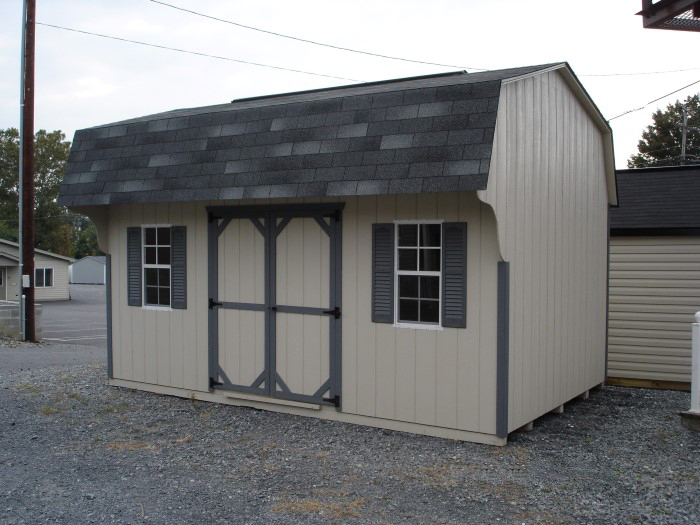 The carriage shed has great popularity due to its versatile style and functionality. It has a true 6’ height on all four walls, allowing for standing access throughout the entire building. It also features an attractive and functional overhang over the doors, which provides added storage pockets and protection from the weather over the doors. 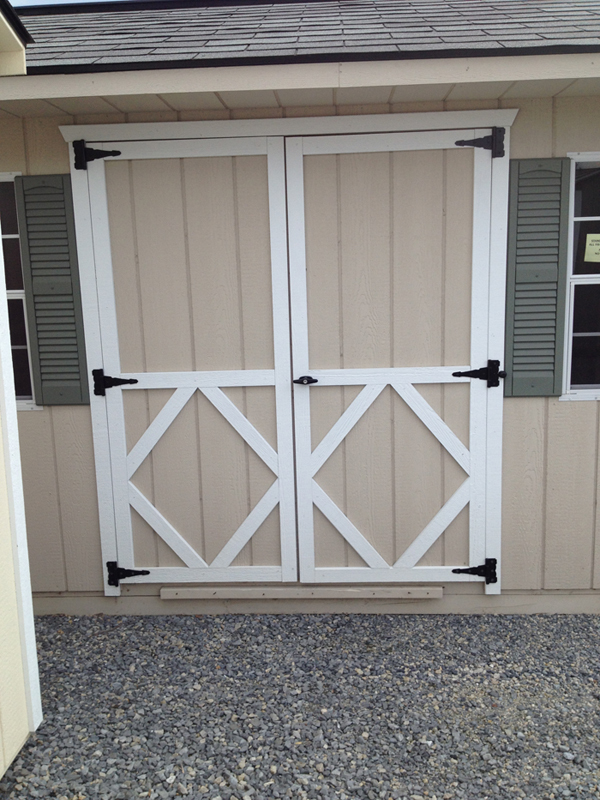 The mini barn shed has remained the clear choice when evaluating price per square foot. Its simplistic style has allowed this style to remain the least expensive option for your everyday storage needs. The side wall has been limited to 4’ tall to keep its price low, but the design of its roof still provides the ability to walk freely throughout the building. The Dutch barn shed provides the most storage per cubic foot. It has 6’ walls on all four walls, allowing versatility for door placement. Its unique roof design provides unlimited possibilities for additional storage in the rafters. This shed is simply a new spin on an old classic. For function and design, a 2’ overhang was added to the Dutch barn style. This overhang, provides protection from weather at the doors and additional storage accessible inside the building. The hip roof shed was designed to provide a comparative design for a roof style seen on many homes. It has a full 6’ wall height on all four walls to allow for standing use throughout, but features a 7/12 roof pitch. 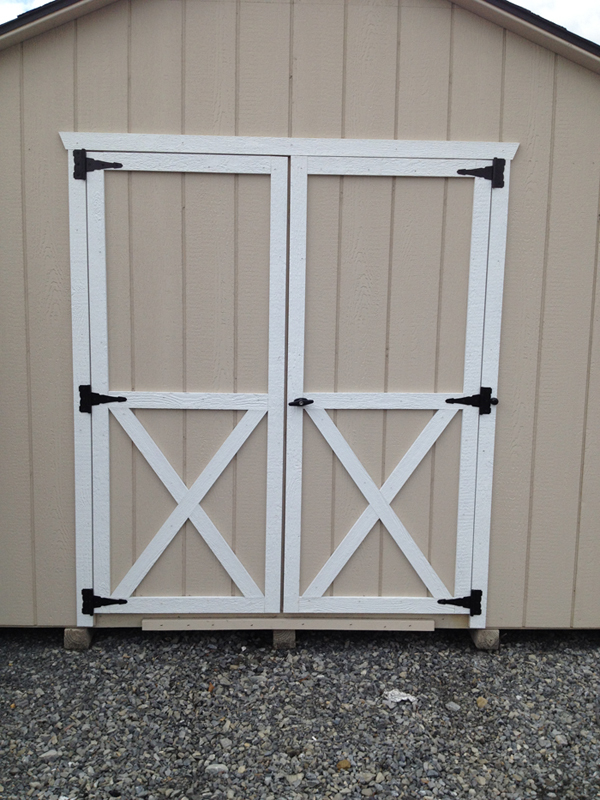 4x4 to 8x10 shed – 1 window w/shutters.